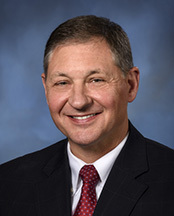 Daniel M. Miller is a Senior Partner and is Chair of the firm's Labor and Employment practice group. He is also a member of the Business Transactions and Government Services & Public Finance practice groups. Mr. Miller's practice consists primarily of providing advice to businesses, non-profit organizations and municipal entities. He represents management in collective bargaining, labor relations, employee relations, employment discrimination, unemployment compensation, and wage and hour matters. Mr. Miller also provides advice in the area of employee benefits and related issues. Mr. Miller's practice includes the handling of administrative proceedings before the Equal Employment Opportunity Commission, the Pennsylvania Human Relations Commission, the National Labor Relations Board, the Federal and State Departments of Labor, the Pennsylvania Unemployment Compensation Board of Review, and various other administrative agencies. Mr. Miller's practice and experience affords him the ability to provide efficient and effective advice to and representation of clients to minimize legal risks before they occur. He also assists clients defend claims that cannot be avoided. He is a frequent speaker on labor and employment issues.